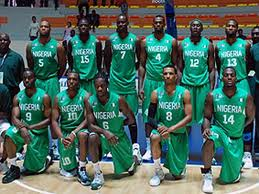 Emerald: Basketball Team Nigeria arrives London for 2012 Olympics! Basketball Team Nigeria arrives London for 2012 Olympics! The highly successful and entertaining Nigerian Basketball team has arrived the British capital, London for the Olympics games starting 27th July. The guys gave a good account of themselves during the just concluded FIBA tournament from where they qualified for the Olympics. Other qualifiers include USA and France. Wishing them the very best outing in London!